“I don’t even look at construction drawings”…. “Say It Ain’t So Joe”! The La Jolla Community Planning Association is recognized by the City Council to make recommendations to the City Council, Planning Commission, City staff and other governmental agencies on land use matters for our community. As our recognized community planning group they are responsible to review development projects. During the development project review period, the LJCPA is sent project packages for review from the Development Services Department. Project packages include a comprehensive set of information such as a cover letter, cycle issues report, a site plan, preliminary construction plans and background information as needed for project review. The LJCPA than focuses it’s review on conformity with the adopted La Jolla Community Plan and/or the San Diego General Plan. Where were the professional Trustees of our community group when they allowed our beautiful panoramic view of La Jolla Shores coastline to be forever impaired by the construction of a 40,000-square-foot research laboratory at Scripps Institution of Oceanography (SIO) on La Jolla Shores Drive? 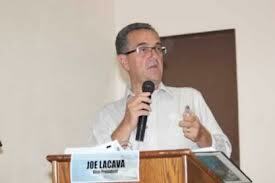 The then President Joe La Cava (civil engineer and development consultant) and Vice President Tony Crisfi, (architect and development consultant) now claim the LJCPA was deliberately misled by UCSD regarding the height of the MESOM building according to a recent article in the La Jolla Light. Mr. La Cava currently is LJCPA’s Vice President and the current Chairman of the City of San Diego Community Planners Committee. His virtues as a civil engineer and development consultant are described on his website as follows; “Joe’s roots are in civil engineering and he has completed over 120 private development and public works projects; ranging from lot splits to suburban residential development, schools to sewers, parks to parking lots. Not bounded by a traditional engineer’s perspective, he brings “out of the box” thinking and innovative solutions to his client’s complex development issues. In the future, since most of the LJCPA Trustees are laypeople and not proficient at reviewing construction plans, it might be prudent for the professional Trustees on our LJCPA to review the preliminary construction drawings prior to approving or denying projects in our community. Now everytime I drive down La Jolla Shores Drive with my family and we come around the lower bend in the road, rather than seeing our beautiful panoramic view of La Jolla Shores coastline that once reminded us we were home, we now see the “Say it Ain’t So Joe Building“. Thanks for the memories!